Magnificent Ranch in Twp of Washington! Upscale lifestyle for the extended family (2 Kitchens!) or one level living w/ lots of goodies for someone who wants upscale living! 10 Spice Drive in the Township of Washington ($689,950! ), NJ boasts a top of the line Salerno Kitchen w/ huge center island/breakfast bar, stainless appliances, and granite, a Family Room w/ fireplace and a huge Master Suite w/ giant Master Bath w/ whirlpool & stall shower! Daylight second level features guest room w/ lots of closets, huge recreation room, and a second spacious Eat in Kitchen. 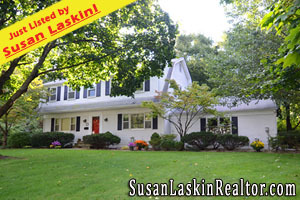 With a magnificent & private rear yard and a park like setting, this is an exceptional find! 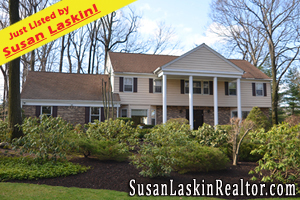 Looking for more Township of Washington Real Estate? Browse through my Feature Homes! 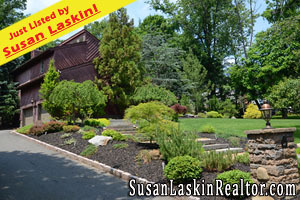 Some wonderful listings across the incredible Pascack Valley towns! Price Reduction in River Vale! Price just reduced to $679,950! Don't miss this incredible opportunity! 470 White Birch Drive in River Vale is a large & expanded Colonial Split set on a picturesque property and located in an incredible neighborhood! There is a huge Cathedral ceiling Kitchen addition, a vaulted Family Room addition off the den w/ Full Bath (ss), and large Living Room and Formal Dining Room both w/ hardwood floors. The Master Suite has a Master Bath & walk in closet and there are 3 additional bedrooms and another updated full bath. 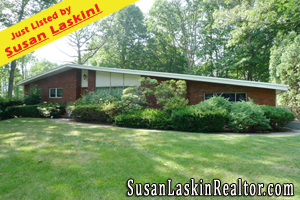 With a two tier deck, an in-ground pool and a property that overlooks a wooded area and stream, this home is a find! Priced aggressively! 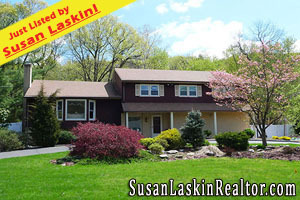 Browse through more Bergen County & Pascack Valley Real Estate!